The Notorious B.I.G. said it best: mo’ money, mo’ problems. What he really meant was the more Auburn wins, the more pressure there is to win. That’s why I didn’t spend my Iron Bowl week pumping too much. This wasn’t some 7-4 Auburn team just trying to ruin an undefeated Alabama’s season. This wasn’t all a dream. This was a man’s team against a man’s team with the SEC West Championship on the line. As I said in my Iron Bowl preview, Jalen Hurts had never played in a stadium like he played in Saturday. It showed. At times he seemed very calm. At times he seemed downright careless. But you could tell the situation, the noise, and the team he was playing got to him. The Auburn defense rarely blitzed, and aside from the opening drive in the 2nd half still kept Alabama’s running attack at bay. The biggest gains came on the Jalen Hurts special. You know, when he stands in the pocket long enough for everybody to get down field, decides he doesn’t want to throw it, and just runs around the end for 8-10 yards. That was literally Alabama’s biggest threat to Auburn’s defense, and it didn’t really hurt until the 4th quarter when Alabama converted it’s first 3rd down conversion of the game. The near Hail Mary in the 2nd quarter was kind of weird. It involved a slight push-off and it was a weird play design to go deep like that, but Jeremiah Dinson didn’t seem to know what had happened. Like I said, it was weird. Aside from that and the aforementioned scoring drive to start the 2nd half, Alabama’s offense did nearly nothing. They did get semi-deep into Auburn territory in the 3rd quarter, but most of that was due to a long kickoff return. And that drive ended with a botched field goal. Yeah, nothing. The bottom line is that the Auburn defense controlled the game. Alabama probably should’ve used their running backs a little more, but Jeff Holland and Co. didn’t give them too many chances to try anything new. Every time they looked up, it was 3rd down. The Auburn offense had a lot to do with controlling the game as well. They had the ball for 13 more minutes than the Tide. That’s a lot. 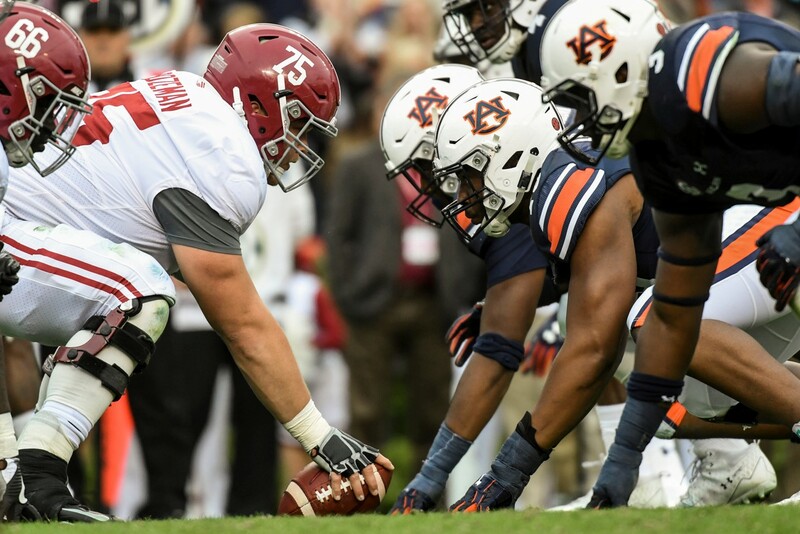 Even if Alabama had their offense working, when Auburn was spending 5 minutes to go 95 yards and score, it had to be demoralizing when you’re going 3-and-out on the other end. Chip Lindsey utilized the screen game to perfection. He knew he had sure-handed, quick athletes on the outside, and didn’t let Alabama’s defensive line settle in and clog the middle. The ball was all over the field. It was perfection. Left, right, middle, left, right, middle. Kerryon Johnson ended up with over 100 yards, but they were tough. He didn’t really break any long runs, and he left the game a little banged up, but he was consistent. 4 yards here, 3 yards there, then BAM, screen pass for 20. Did I say it was beauty? 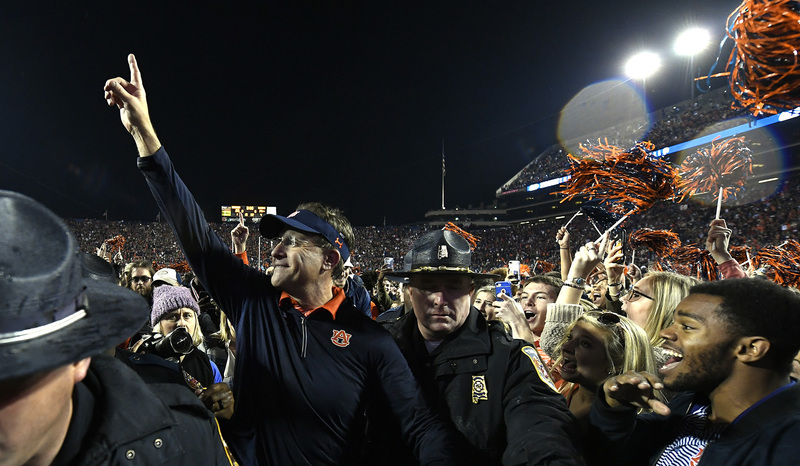 While it was an Iron Bowl win, it almost felt a little boring. I know Alabama lead for 10 minutes in the 3rd quarter, but I never felt that they had the game under control. Auburn had them on their heels most of the game and it felt that way from the first touchdown on. It was also just another stepping stone to a championship. Winning it was fun and all, but I knew there was one more between Auburn and the Playoffs. Is this what Alabama fans pretend to act like? Because I’m serious. I didn’t go crazy. I was happy, but within a few minutes, I was worried about Georgia. Not worried, but I had moved on to Georgia. 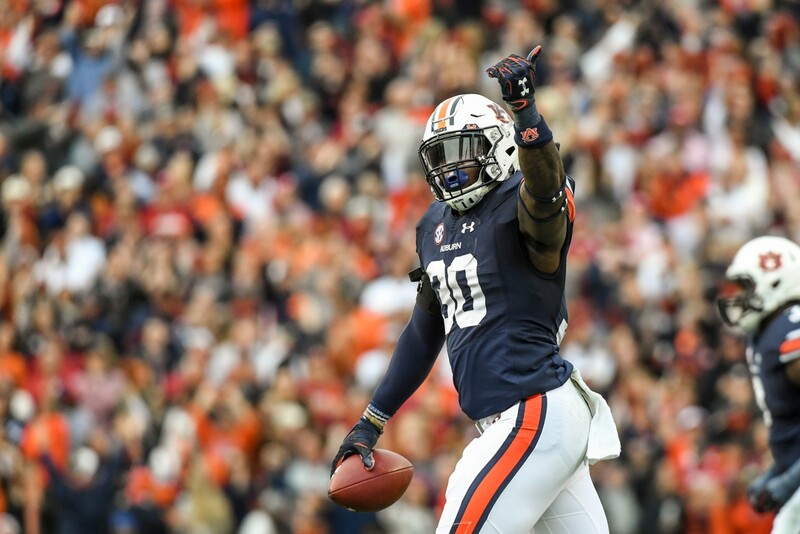 Auburn won the Iron Bowl by more than 10 points for the first time since 1969. Seems a little sad, but for it to happen is a big deal obviously. Auburn was the better team. It showed. Auburn has the better team. It showed. This wasn’t a one night fluke. This was a good team losing to a better team. Now bring on Atlanta. It’s time to finish this thing off.